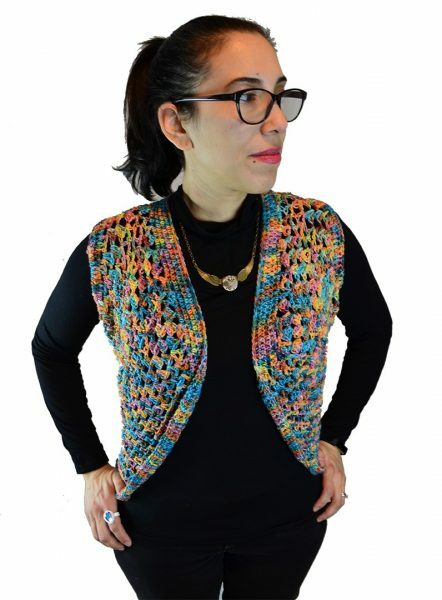 For the longest time I have been intrigued by circular crochet vests. I’ve seen them on Pinterest and Instagram and they looked so intricate and beautiful and I wondered if I could ever make one. This was also how I felt about mandalas in general until I finally made one. 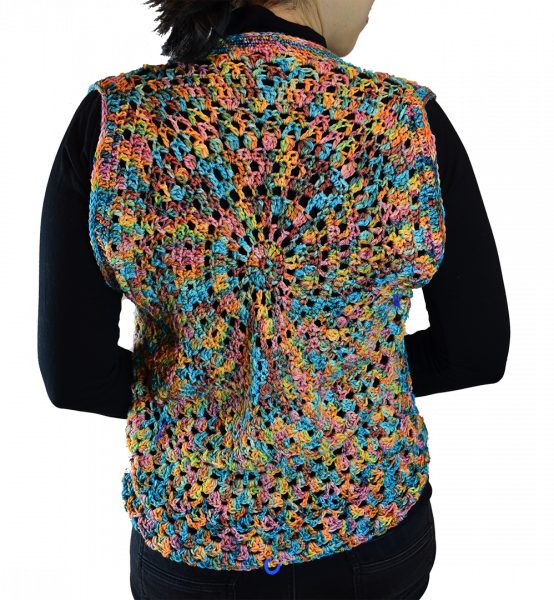 Once I discovered how rewarding it was to crochet mandalas I felt ready to create a mandala vest. One thing that kept me from making the vest was the yarn. I was never sure what kind of yarn to use and felt it had to be “just right”, whatever that meant. Thankfully the yarn gods were listening because Fairmount Fibers (North American distributor of Manos del Uruguay yarns) offered me the opportunity to review Feliz, a merino superwash and modal. 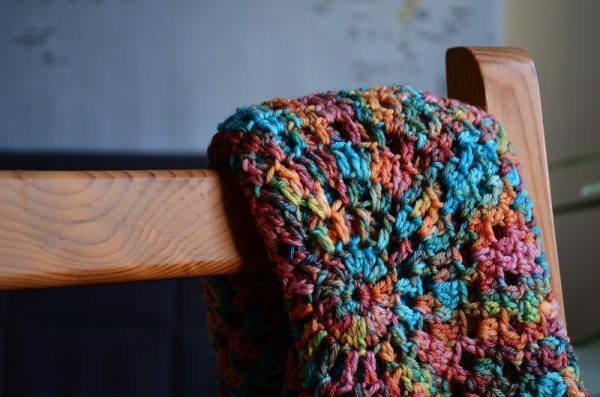 There are so many wonderful things about this yarn. First of all, it’s fair trade and the yarns are produced by artisans throughout Uruguay. 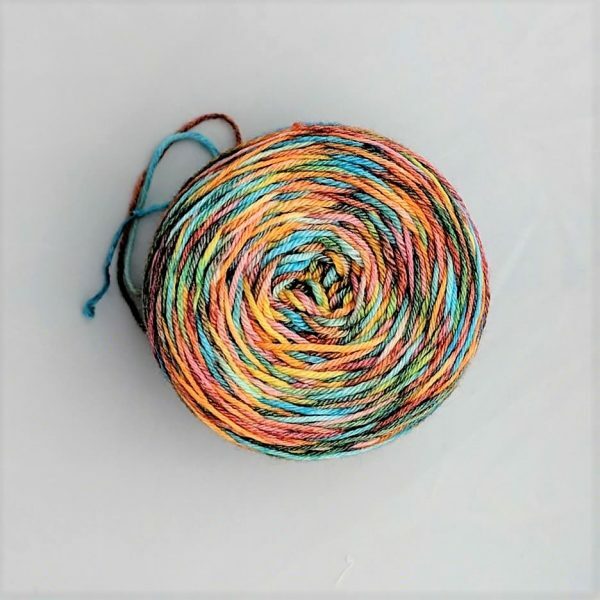 And even more wonderful is that every skein purchased helps a woman in Uruguay to support her family! I also loved that the skeins I received had been signed by the artisan who made the yarn. What an amazing reminder that good quality yarn doesn’t come out of nowhere. When I received the yarn I was so delighted by the bright colours, amazed that such combinations could exist together in a gorgeous blend. The yarn felt SO soft and squishy and I could not wait to make something with it. I knew right away this was it. This was the perfect yarn for my elusive crochet mandala vest. The actual design was done on the spot without a plan, making up each round and stitch as I went along. I first created a circle and kept adding to it until it covered enough of my back. Adding the arm holes is the part that really intimidated me the most but I found a handy tutorial here on Craftsy. 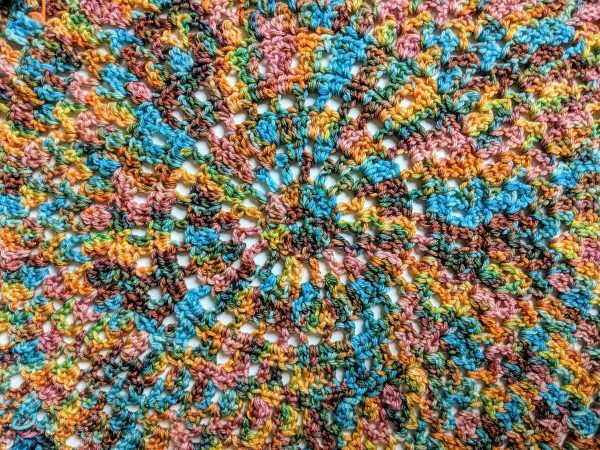 I used a size 5.00mm crochet hook and let my mind go wild. 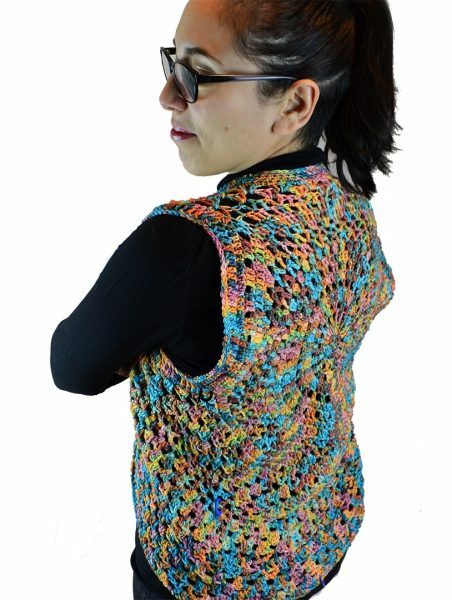 The result is this beautiful vest that will keep me warm and cozy!